I'm not quite sure what I was thinking about when I was doing this graphic. Clearly it is not Wednesday, it is FRIDAY! And not only is it Friday, but it's Christmas Eve eve!! That's doubly exciting! Clearly my mind is elsewhere. 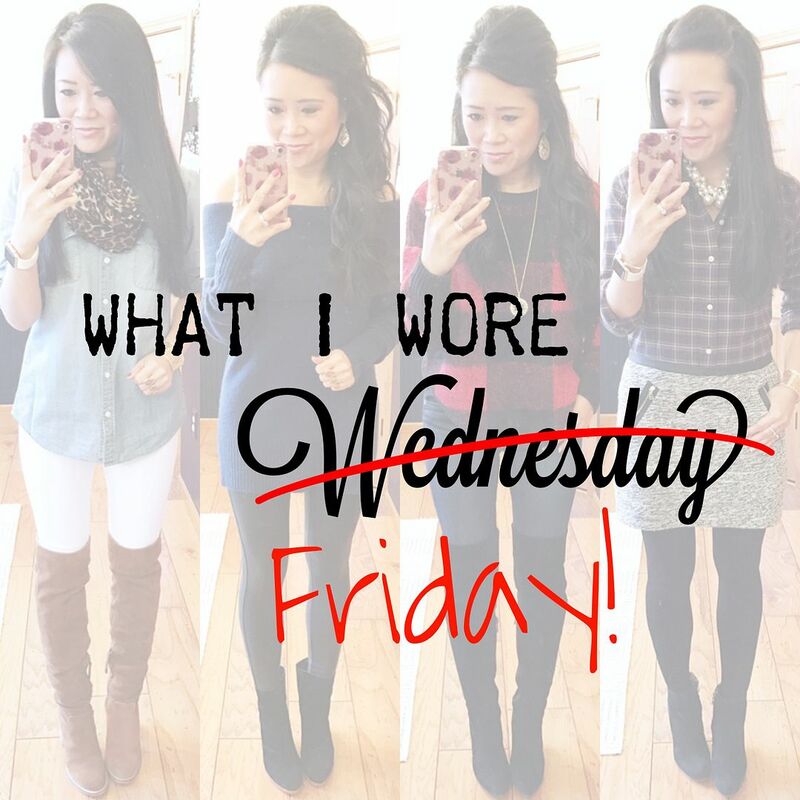 What I Wore Wednesday, Random Roundup, whatever you want to call it, it's here! A handful of outfit photos taken the good old fashioned way, with a cell phone and a mirror. Isn't that how they used to do it in the caveman days? Yes, that's what I thought. No, I promise I have not been drinking eggnog. Let's just get started, shall we? This skirt is one of those pieces in my closet that I will have until it is in shreds. It's one of my most favorite things to wear in the winter because, even though it is black and white boucle, it reads like a grey skirt and as a result, goes with any and every color. I tend to pair it with plaids, but I can't think of any solid color that it would not complement! That's probably why it ended up being one of my capsule pieces in the remix challenge I did early last year. Sorry to tease you with it. My search for something similar is coming up empty, but I did find a couple of grey minis that would serve the same purpose here and here. Earrings: Kendra Scott "Addie" | Sweater: Express (limited sizes and colors) | Bottoms: Spanx faux leather leggings | Booties: Matt Bernson "Brooklyn"
I wore this for my department holiday party last week! I originally planned to wear my plaid blazer, but it was so cold that leggings and a comfy sweater were calling my name! The VP of our department opened up his house to us for a "lunch." I use the term "lunch" lightly because it started at noon but we didn't leave his house until about 5 when his kids got home from school! It was a good time. I probably drank too much wine. Probably. This sweater is pretty ridiculous because it's furry! 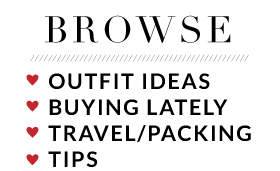 (You can see it better in my flat lay here.) 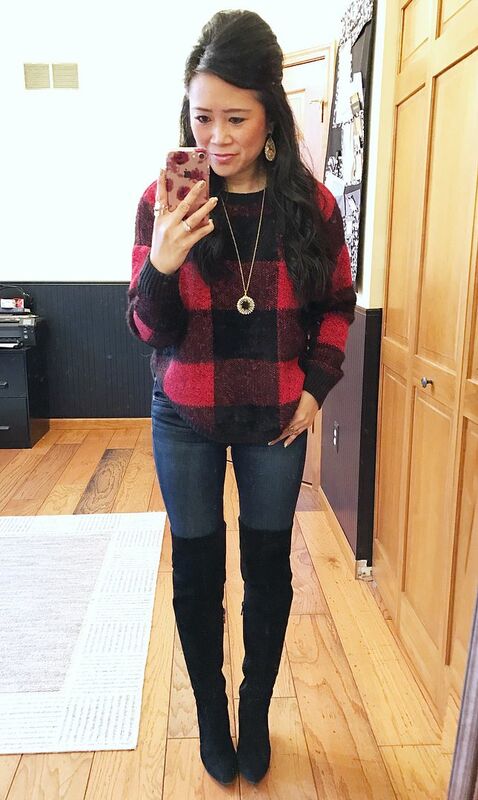 But alas, I'm a sucker for Buffalo plaid and I feel like every year I need to buy at least one new Buffalo plaid piece. This year, this sweater was the piece. I wore this on a Camaro club cruise to see Christmas lights followed by a casual dinner. It was perfectly cozy! There is a reason why chambray + leopard scarf + cognac boots = basic. It's a foolproof formula, and I cannot deny that. Even though this is not a new or unique-to-me combo, it still makes me feel good to wear it, and that's all that matters, right? 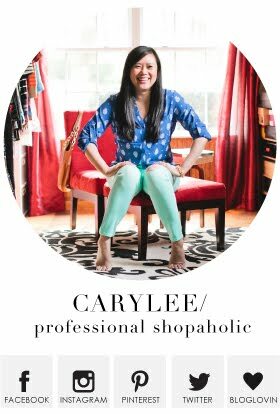 I can't give up my white skinnies for winter, and frankly, it's hard for me to not wear them more than once a week! 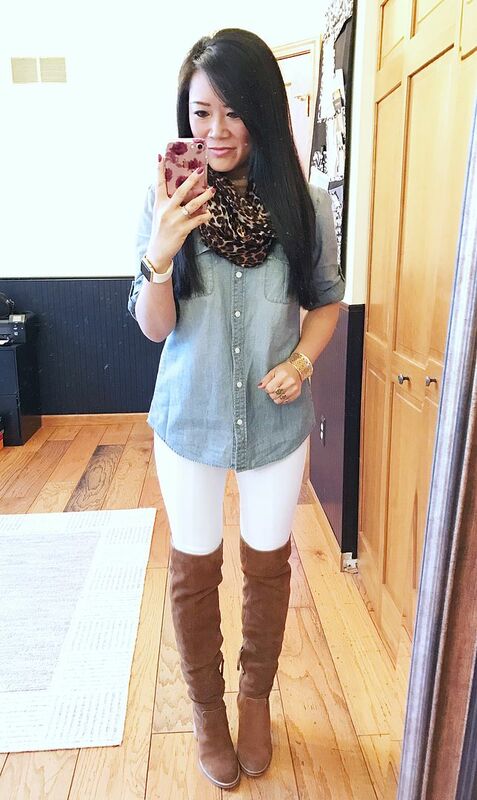 Over the knee boots are a great way to winterize your white skinnies! I need to find a reason to wear that boucle skirt this year! Maybe for lunch on Christmas Day just because. :) Both of your sweaters here look so plush and cozy! 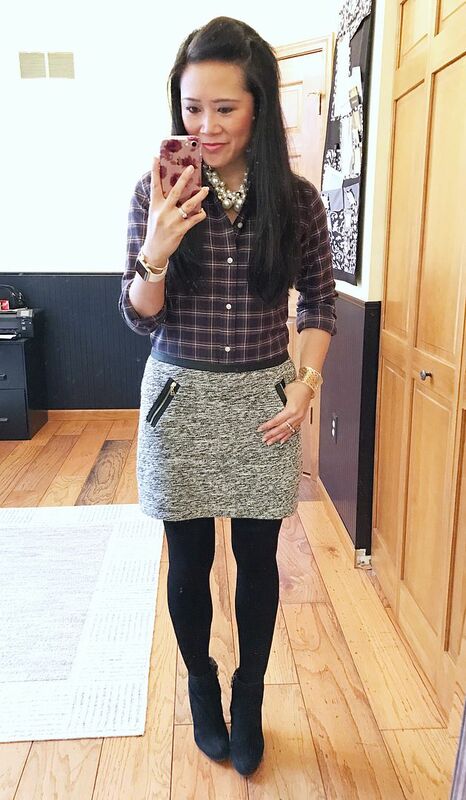 Love that tweed skirt and plaid top combination! Great mixture of patterns and textures!